In another new webinar from Trade Risk Guaranty the updates surrounding the Chinese tariffs and any updates on Section 232 tariffs on autos and auto parts. In the past few months, there has been a large number of updates and delays coming out about the tariffs currently in place on goods imported from China. These updates have been released at a confusing pace from a variety of publications. 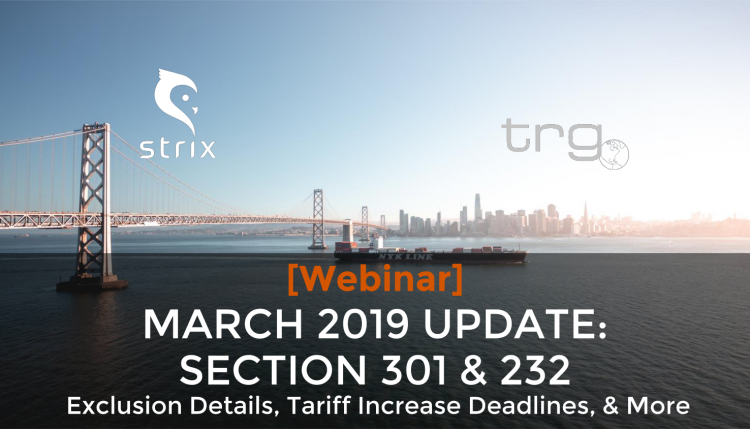 In this webinar, Trade Risk Guaranty is joined by Gregg Cummings from Strix to summarize the news that has been released and shed light on what importers can expect. 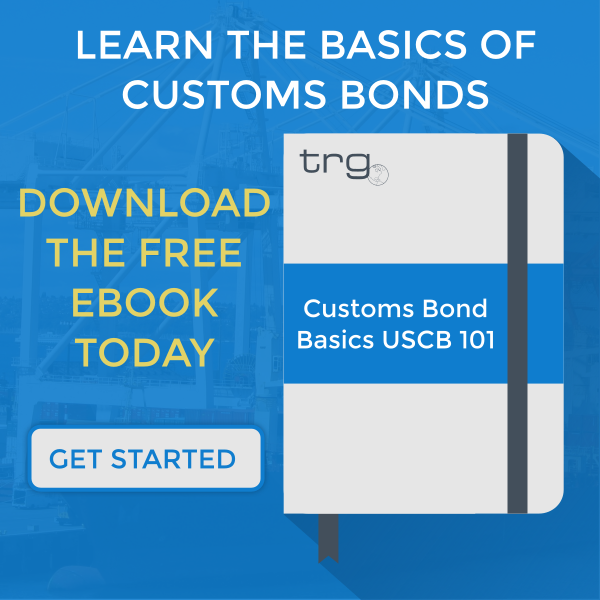 If you have additional questions on the current Trade War, check out our TRG Talks Tariffs for access to all of TRG’s tariff related content and submit any questions you may have directly to TRG’s team of experts. 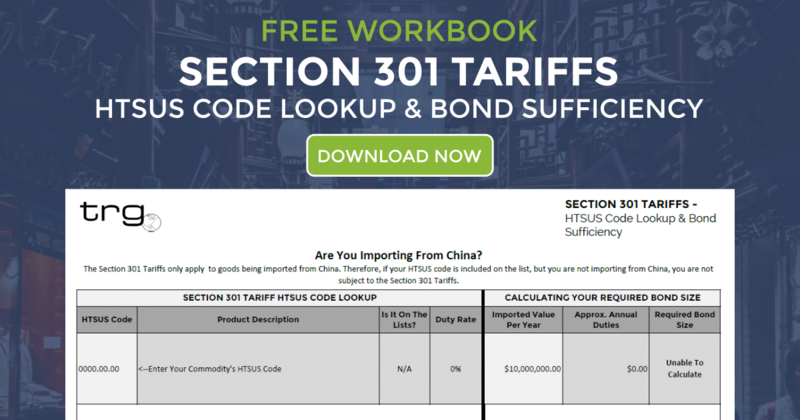 Not sure if you are subject to the section 301 tariffs? Download the workbook below to look up your HTSUS code and see if it is included on one of the 3 lists.